Last December I watched the trailer to “It’s A Girl,” for the first time. It broke my heart to realize what was happening in many parts of the world. I quickly began researching more about it online, the more I read, the more I began to hate this world. Girls were being abandoned in the streets left to meet their deaths just because they were born a girl. I was left feeling hopeless, sad and defeated. This issue was epic, how could I possibly make a difference? As each day passed I continued to read more and shared online the stories I read. Throughout my discoveries, I saw a little glimmer of hope. There was a very special home in India, specifically Punjab, (where I ethnically originate from) that was doing amazing work with baby girls that were being abandoned, uncared for and unwanted by their parents. Unique Home in India is run by a wonderful woman named Prakash Kaur, she and her assistants together help raise approximately 60 girls. She recues girls from the sides of the roads, garbage bins, fields and some leave their unwanted baby girls in the provided cradle. After speaking with the orphanage I launched my “Save A Girl,” campaign, a social media campaign to help raise awareness on this issue as well as to collect personal care items and clothing for these girls. It was a small step, but that step helped me heal on the inside. These girls reminded me of myself and the what “ifs,” began echoing in my head, what if it was me? I was given the opportunity at a fulfilling life in a beautiful country, the very least I could do was be a voice for them. With the help of family, friends and the community the campaign raised just under 1500 items that were hand delivered to the girls by my relatives. Since that time I continued to raise awareness and have discussions via social media on what could be done on this issue. I have yet to make my travels to India; my first trip to India is going to have so much purpose. I look forward to meeting these girls and being inspired by them to do more. Just a few weeks ago, I established GirlKind Foundation. A non-profit organization that I feel will serve as a great platform to help bring an end to gendercide, gender discrimination and help support abandoned girls in India. The goal is to continue to raise awareness on this issue, changing cultural values is going to take time, dedication, awareness and education. Eight months ago I would of have never imagined sitting in the position I am in today. The trailer to “It’s A Girl,” inspired and motivated me to do something, to become a voice for those girls who weren’t given one. Being an advocate for social change is much easier than five years ago. There are so many social media tools that we as individuals can use to make an impact and together we can change the world. Never underestimate your abilities; one person can truly make a difference. 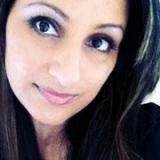 Deesh Sekhon is a wife and mother from Abbotsford, BC. She owns and operates her own photography company and is an active member of her community. Deesh has recently launched GirlKind Foundation, which is advocating and educating for change in cultural beliefs and taking a stand against Gendercide. Her belief is that we must strive daily in our lives to better our communities and make them a stronger, inclusive place for our children to live. According to a report published by Shanghai online news portal Sixth Tone, a Guangdong couple has been told they must have an abortion or both lose their government jobs. The couple, surnamed Zhong, both have a child from a previous marriage. They thought that they could have a child together under China’s new Two-Child Policy, as is the case in other provinces in China. They were mistaken, under the current laws of Guangdong. The due date of Zhong’s child is September 10. She told Sixth Tone that she felt depressed, anxious, trapped. “I can’t give up on this child, as I’m almost 40,” she said. “And it wouldn’t be easy for us to find jobs again, given our ages.” Zhong shares her anxieties on WeChat, where approximately 500 people have gathered to share similar experiences. 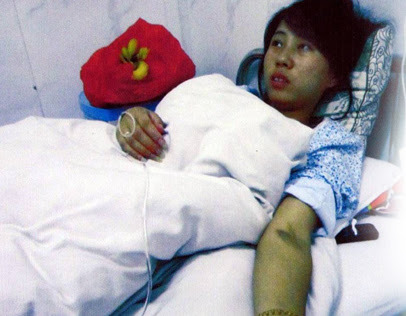 Another Guangdong native, He Liping, is six months pregnant. She faces a crippling fine: “I had no idea that we’re not qualified to have a second child until I went to register for a birth permit with the local neighborhood committee.” Her husband had a child before marrying her, and they have a two-year old together. She is now six months pregnant. Fines for illegal children in Foshan run 260,000 yuan ($39,000). “It’s a huge amount of money for an average family like mine,” He told Sixth Tone. Littlejohn continued: “He Liping does not face joblessness, but rather what I call a ‘terror fine.’ These fines can be up to ten times a person’s annual salary. Most people cannot afford to pay these fines and are forced to have abortions. In addition, the Chinese government announced earlier this year that they had abolished the birth permit system for first and second children. Clearly, this is not the case. 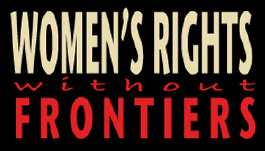 Reggie Littlejohn, President of Women’s Rights Without Frontiers, testified before the Congressional Executive Commission on China on April 30th, 2015 to discuss this further. Gendercide may well be the most serious human rights violation and form of discrimination against girls and women happening on earth today. As many as 200 million girls are missing because of gendercide and extreme human rights violations as we see with the enforcement of China’s one-child policy. Now is the time to stand up for girls and women everywhere!